Chesapeake Services recognizes there is a growing concern and need for new homes to be energy efficient and green. It is our mission to focus our efforts on making every house that we build environmentally friendly and energy conscious. 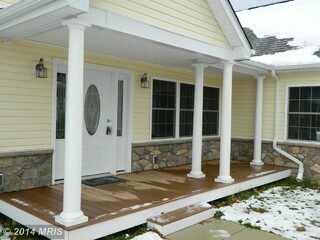 We offer totally customized homes built either on or off site. Our on-site homes are built above the required building standards and state codes. We believe a home should be built to last without time consuming maintenance and up keep. If you have a design in mind or would like us to work with you on designing the perfect home; we are up for the challenge. We are able to offer a home of high quality and energy efficiency with the combination of new technology and the tried and true means of construction. Our off-site homes are constructed in conjunction with top leaders in the Industry keeping up with Chesapeake Services quality expectations. We continually exceed homeowners expectations by ensuring your vision and options come together within your time frame and budget.